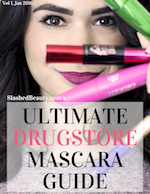 Win some of my favorites from the brand! I grew up watching ANTM— America’s Next Top Model, that is. 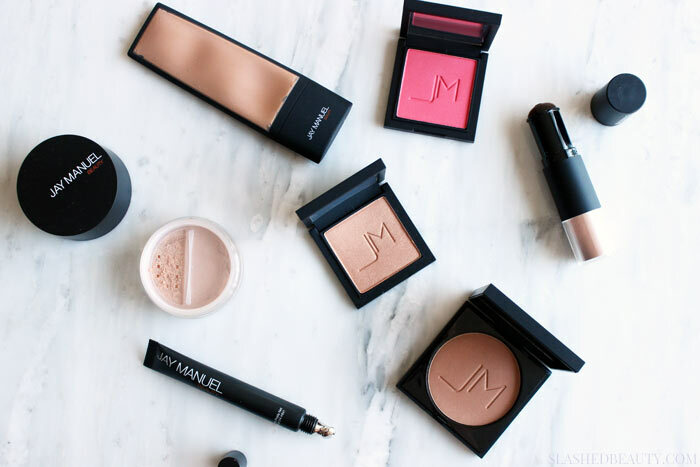 The show definitely fueled my love for beauty and creative looks… so when I heard that Jay Manuel had launched his own beauty line, I was curious to say the least. A couple years ago, Jay released the Filter Finish Collection, and I don’t know why I haven’t heard more people talking about it. I have to say, I usually don’t buy into the hype with “celebrity” makeup lines, but with Jay’s background as a professional makeup artist, I had a little more hope going into testing the products. Spoiler alert: the collection did NOT let me down. Keep reading for a rundown of my faves from the collection and my go-to look I create with them! Plus, we’re giving away a few of my picks to one lucky winner. The real heroes of the Filter Finish Collection are the face products. They’re pigmented, buildable, blendable and have epic staying power. With ingredients like diamond powder, crushed gemstones, silk, silicone, minerals and antioxidants, they’re delivering major complexion enhancement with conditioning moisture. The line is named for its ability to mimic the skin perfecting filters found on Instagram like Tilt Shift (blurring effect), Brighten and Highlight. The products are grouped into three main looks you can achieve: Soft Focus, Illuminating, and Sunlit. Photo Illusion Concealer ($36) | This concealer is full coverage, and conceals, brightens and blurs. The dispenser is cool to the touch so I also feel like it’s soothing my undereye area every time I apply. It doesn’t settle into lines, and the Aloe & Vitamin E hydrates wherever I use it! Blush ($28) | This brush packs a punch! This shade in Bella is bright for a pop of color, but can be dusted on with a flexible fluffy brush for a naturally pinched pink appearance. Skin Face Lift ($32) | This loose powder highlight gives a soft radiance that gives a beautiful glow around the face. The brush is built into the powder, so all you have to do is shake and blend to dispense the luminosity. You can either use it as a traditional powder highlight, or dust lightly all over the face for a glowy complexion. Skin Perfector Foundation ($38) | This liquid foundation is full coverage with a creamy texture. A little goes a long way, and the squeeze tube packaging makes it easy to dispense product. It has a dewy finish that covers any and all problem areas for a second-skin filtered veil appearance. Powder to Cream Foundation ($38) | So we’ve all heard of cream to powder finish foundations, but this is the exact opposite! The foundation starts out as a velvety powder, and as you buff it out turns into a cream that offers medium to full coverage. Since I have combo skin, I definitely have to powder my face after applying since it’s pretty dewy, but it’s such a cool concept and gives a real skin finish! 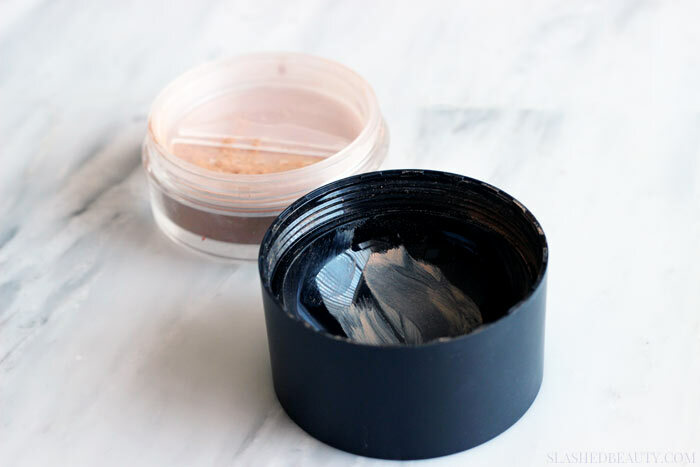 Also, the large cap to the jar has a convenient bowl shape so you can pour the powder in and warm it up to a cream before applying. Bronzer ($34) | Ya’ll know I don’t like contouring with warm shades, but this bronzer has buildable pigmentation and actually works well to add both warmth and dimension. 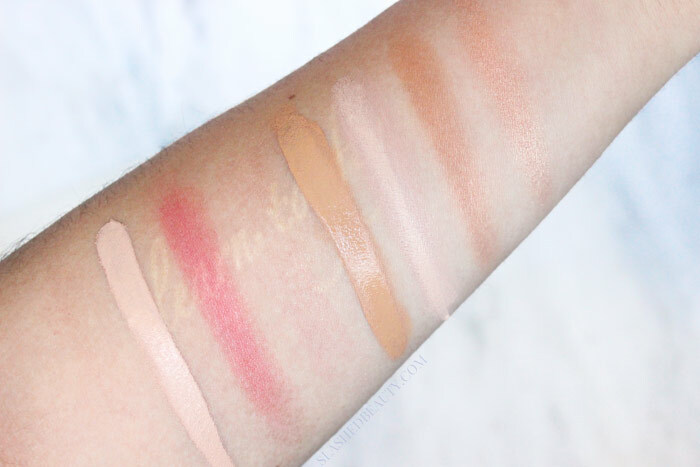 I have the shade Skinny Dip, which does contain the most subtle shimmer for a sun-kissed look. 3D Illuminator ($30) | My new absolute favorite powder highlighter, this gives a glow that stands out with very fine shimmer and a whole lotta sheen. The shade Fame is a warm champagne that leans gold, and I feel is a great warm illuminator across skin tones. 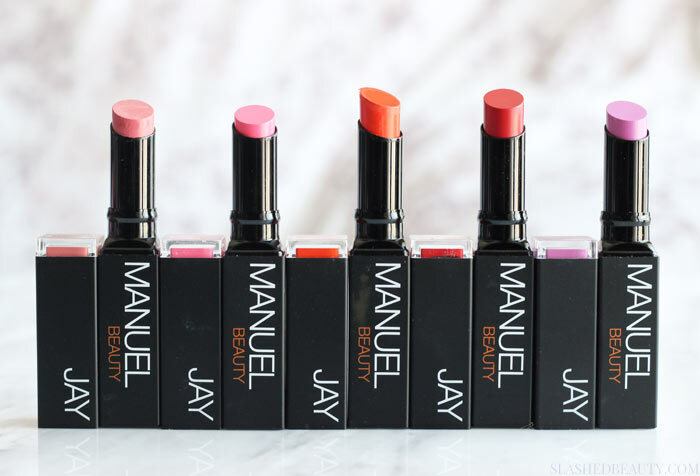 The other stand-outs from Jay Manuel Beauty are the lipsticks. I mean, let me tell you about these lipsticks. 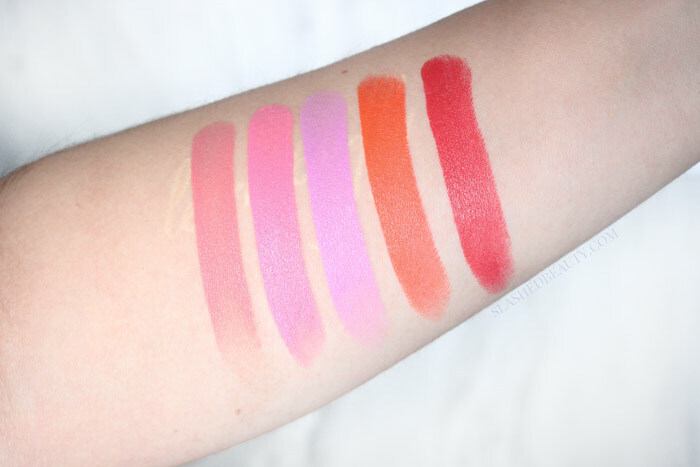 The Ultimate Lipsticks ($24) are pigmented like crazy, and LAST. This is the epitome of a “one swipe” formula. One layer is enough to drench your lips with intense color, and the formula is extremely hydrating… balm-like, even. It glides onto the lips with no skip and even coverage. 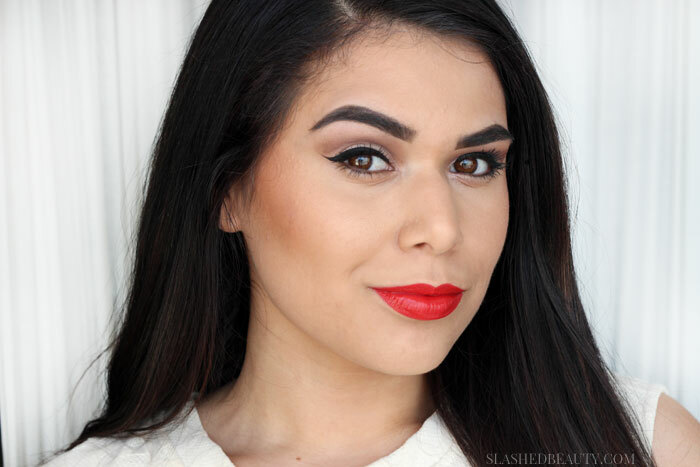 The best part: despite the creamy, balmy feel, this lipstick can hang. I wore it for 9 hours with eating and drinking, and it was only minimally faded. It was still looking completely even and felt amazing. 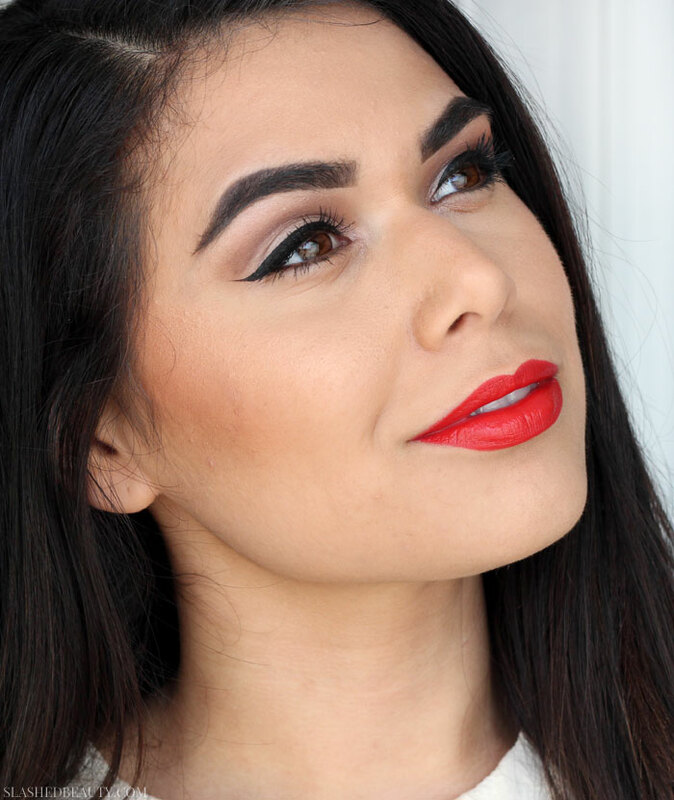 Unlike other highly pigmented lipsticks, I feel confident applying this straight from the tube because of the round, angled bullet that makes application easy and precise. I love creating the Sunlit filter look with these products. Especially as we move into the warmer months, I’m craving more color! 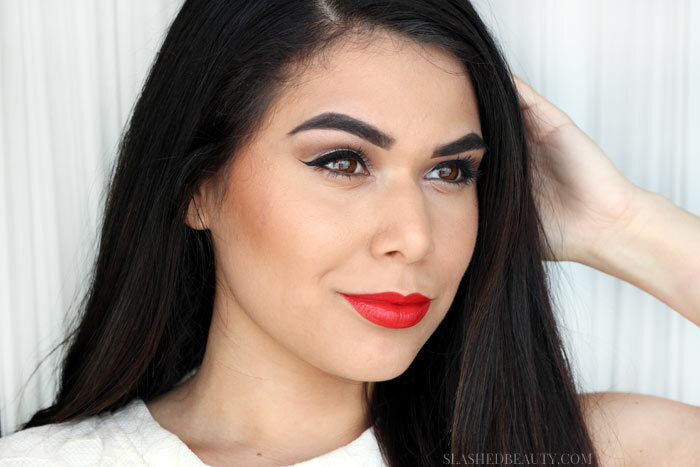 For this look, I started off with the Powder to Cream Foundation which hid my acne and scars completely, followed by a thin layer of powder. Then, I brightened up the undereye area with the Photo Illusion Concealer which helped blend away my dark circles. Next, I contoured using the Bronzer and highlighted with the 3D Illuminator to add warmth, and dusted a teeny bit of the Blush in Bella to help blend the two together. Finally, I topped the look off with The Ultimate Lipstick in Siren, which is literally the most perfect red I’ve ever worn. I didn’t do any skin editing in these photos, and took them in natural light so you can see what it would look like in real life. While you can see a teensy bit of texture where I’ve highlighted, most of my skin imperfections— and believe me, I’ve got a lot right now— are completely concealed and blurred under these products yet it still looks natural and not at all like a mask. After I took these pictures, I immediately changed my profile picture on all social media because I was so impressed with the results. This look stayed in place for nine hours through eating, drinking and socializing with hardly any problem areas peeping through by the end of the night. Honestly, like really truly strike-me-down honestly, I love these products. I think that Jay Manuel fused the ideals of what looks good in pictures with what consumers actually need: easy application that gives you a strong look that lasts without any fuss. 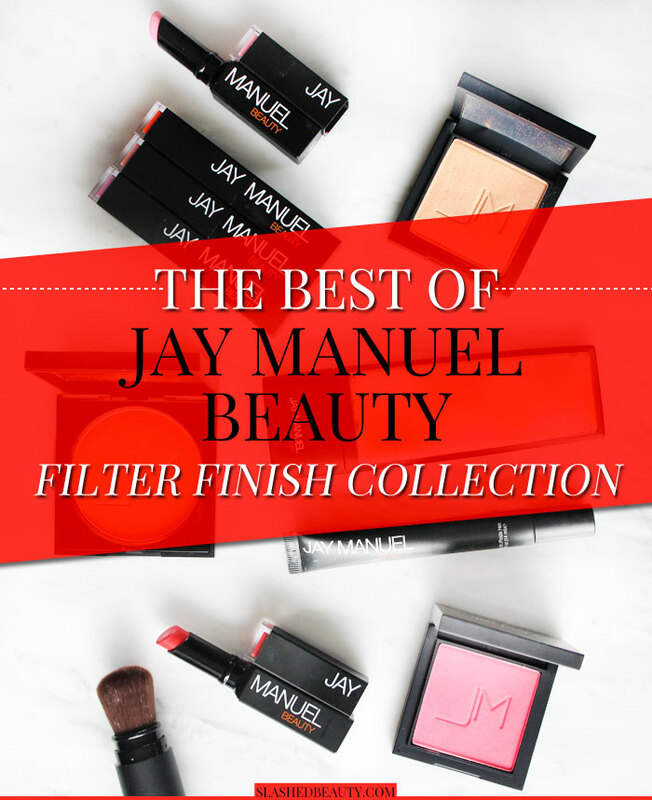 You can find the Filter Finish Collection, along with the many other professional-yet-consumer-friendly products from Jay Manuel Beauty on their website. BUT BUT BUT: they’re letting me do a giveaway for the Slashed Squad! One winner will win the Bronzer and the Classic Lip Bundle which consists of The Ultimate Lipstick in Lovebite and The Ultimate Lip Gloss in Desire. The giveaway is happening over on my Instagram, so click here to enter. The giveaway is open to US/Canada residents, and ends on March 9th. Which Instagram filters do you wish you could mimic in real life? 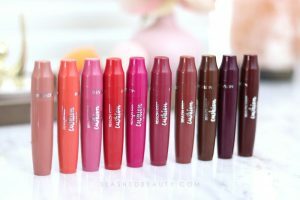 The blush and the lipsticks look amazing! OMG I love Jay Manuel!!! I’d love to try these products. How fabulous these look on you. I’m fascinated with the powder to cream foundation. I like a cream finish so this would probably be a great one for me. The coverage looks perfect. I have read good things about this line, especially the foundation. They look wonderful on you and I’m glad that you’re happy with their performance.